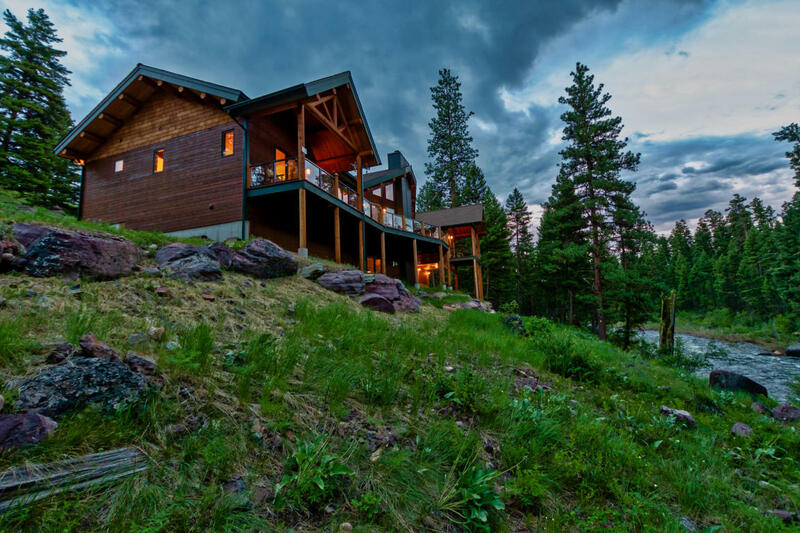 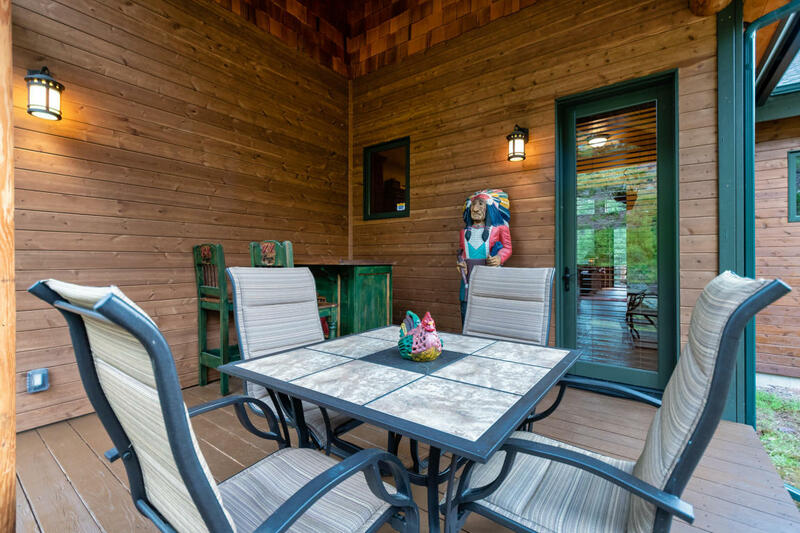 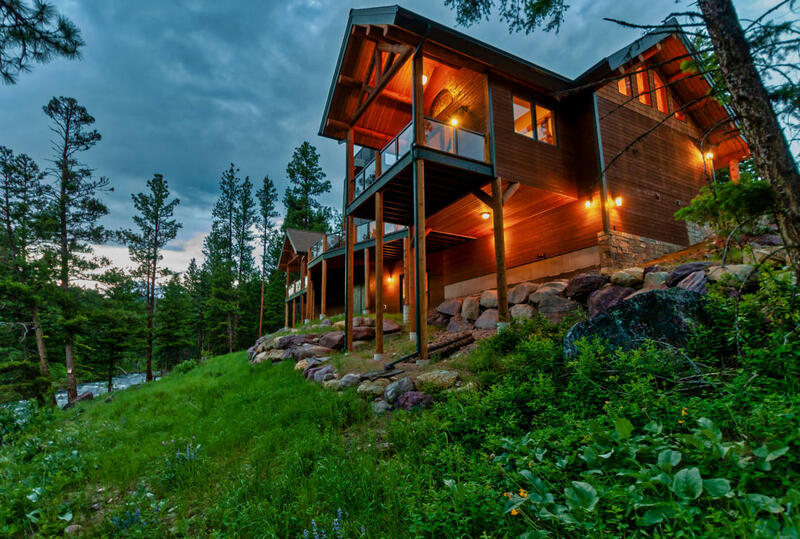 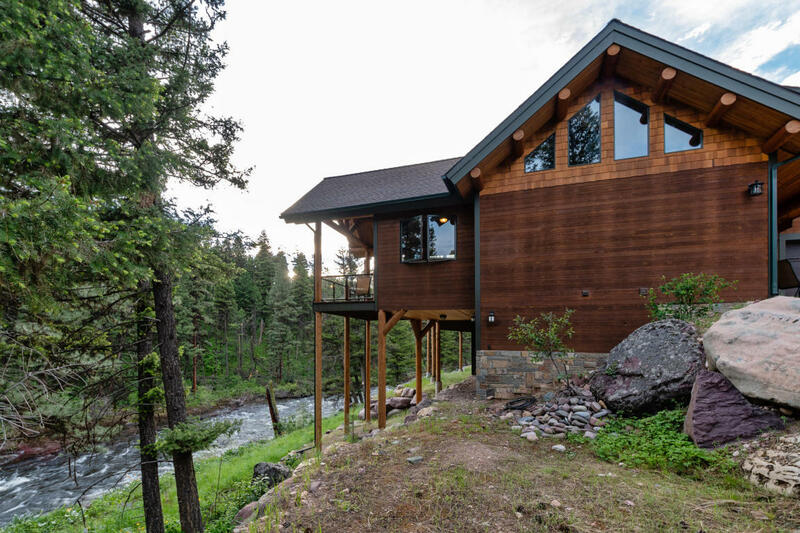 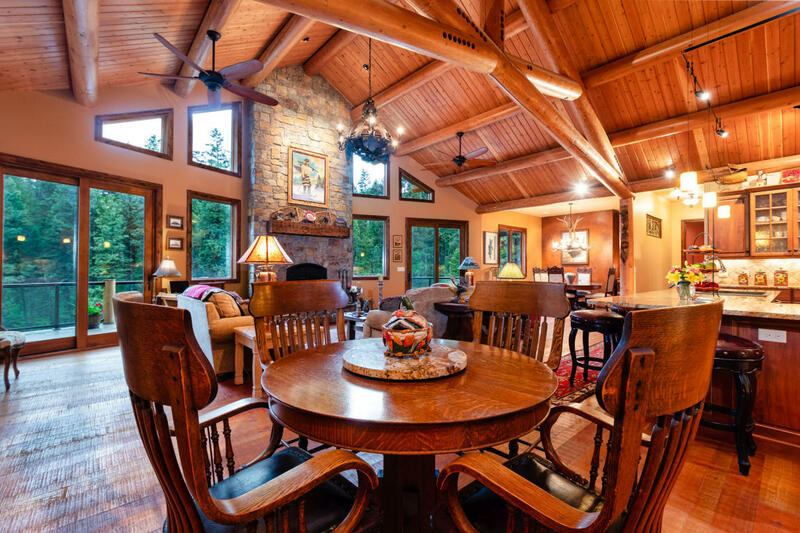 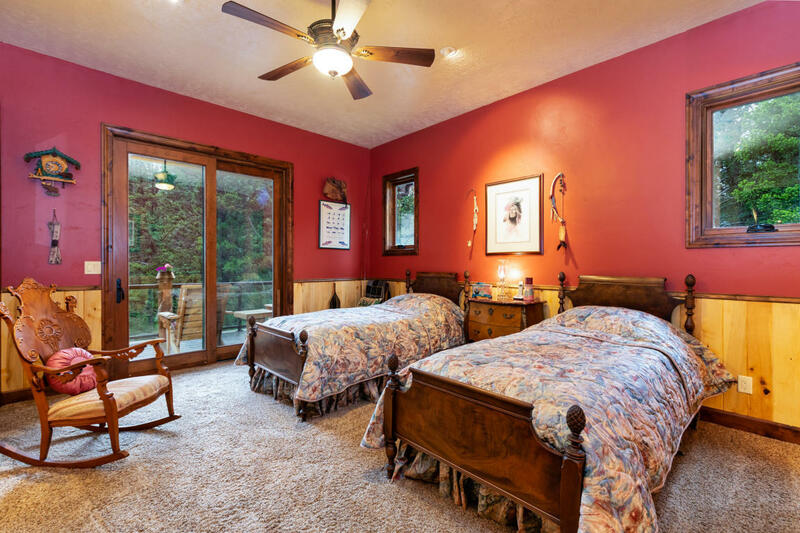 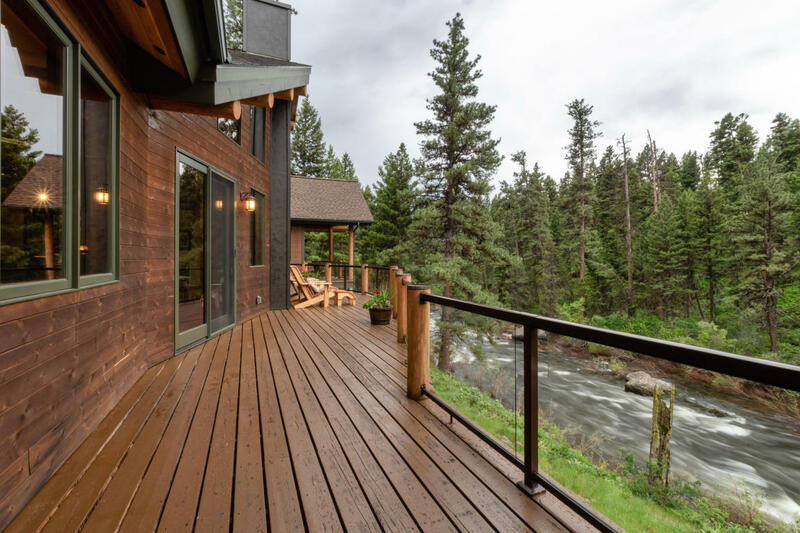 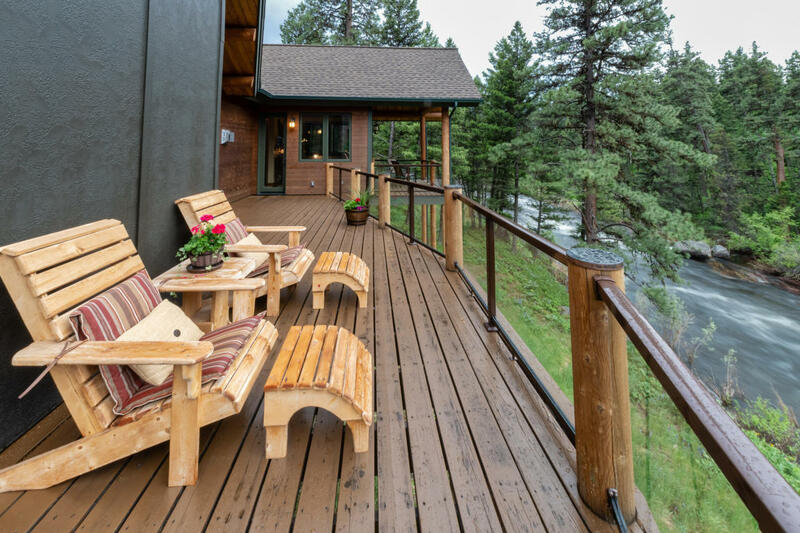 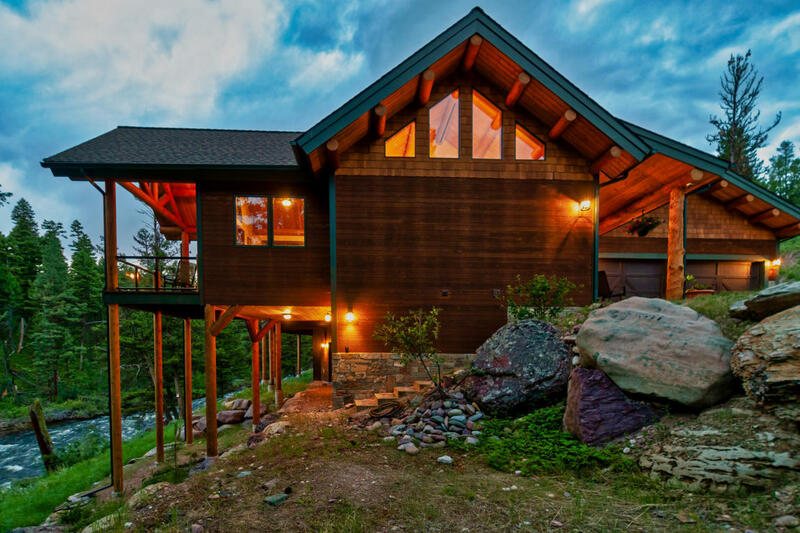 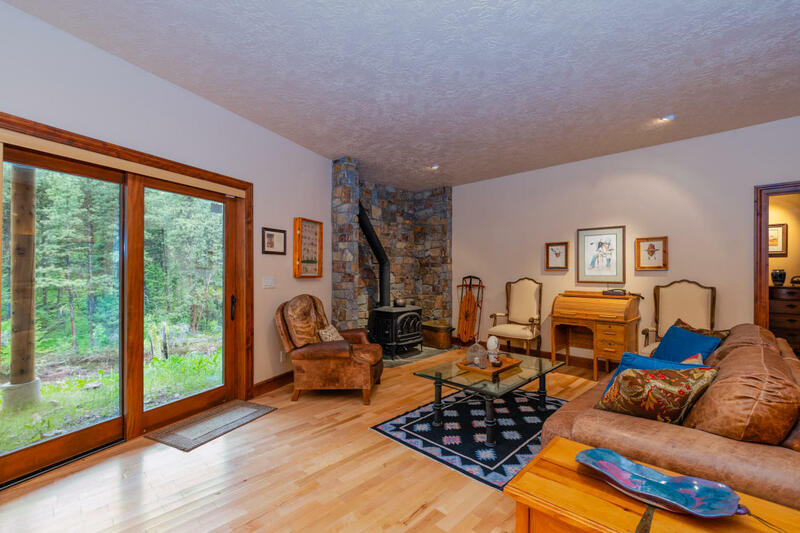 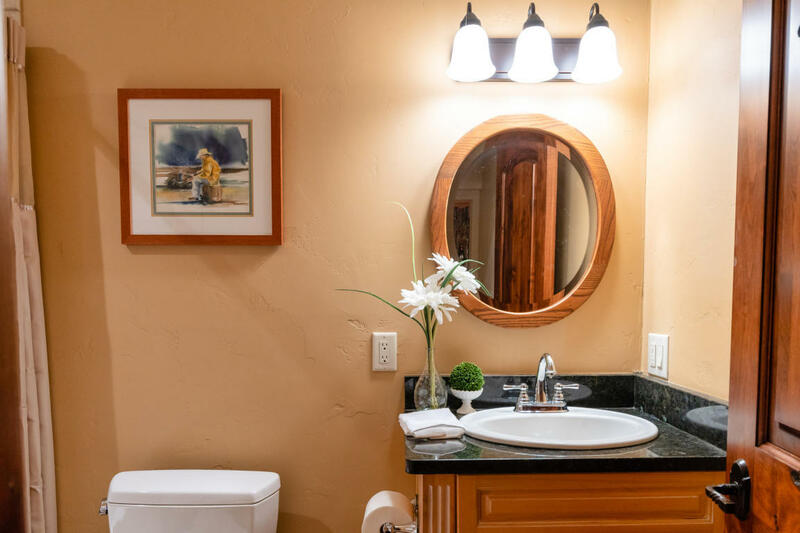 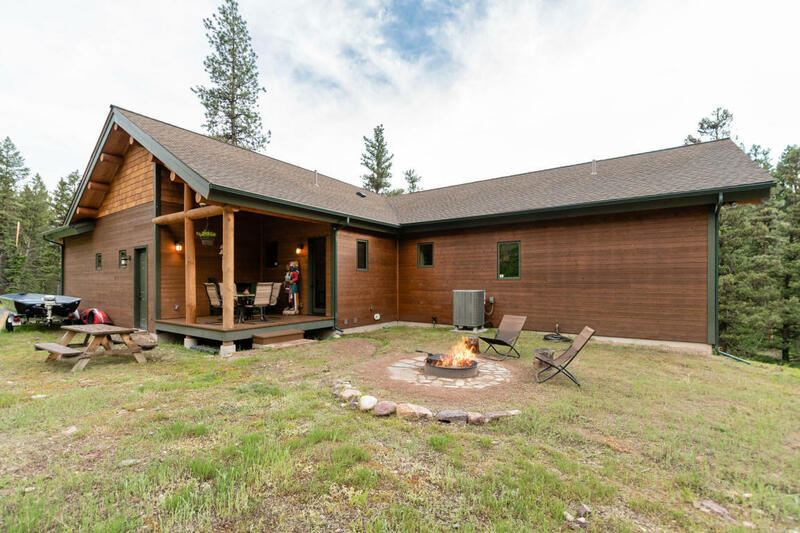 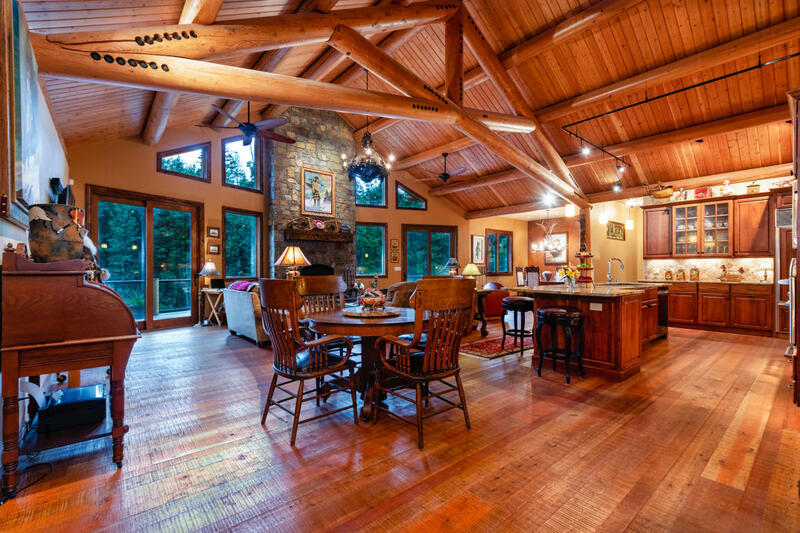 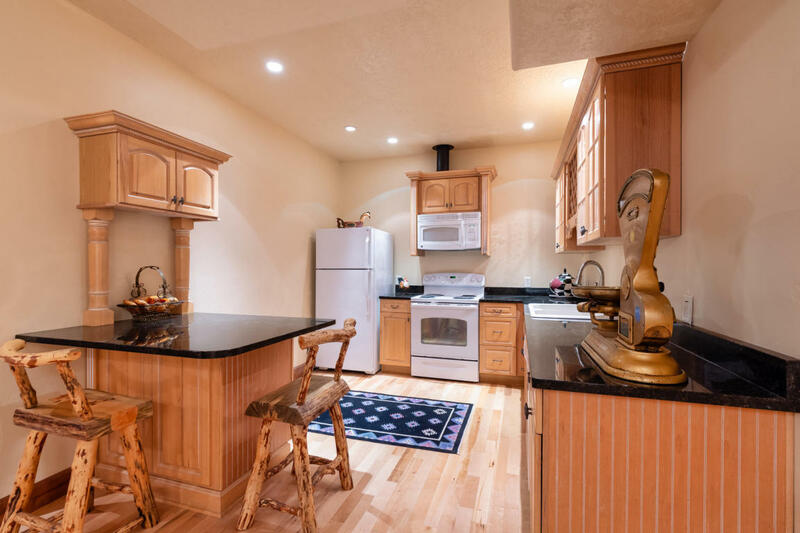 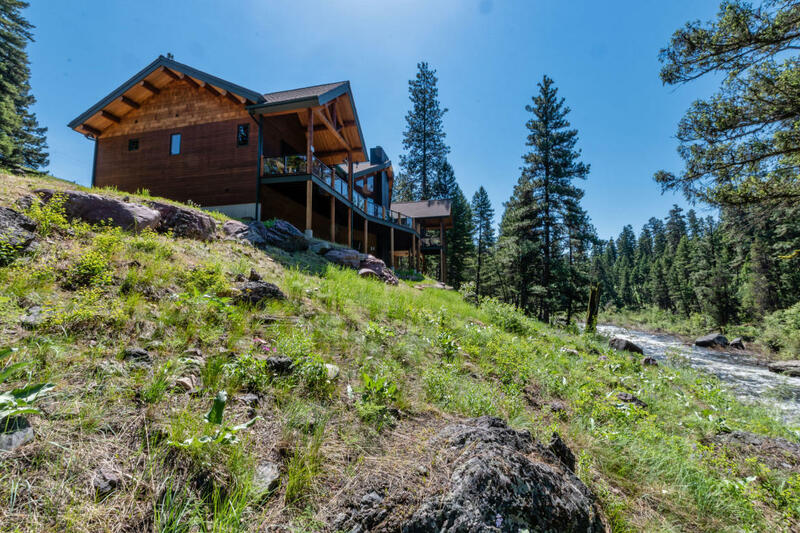 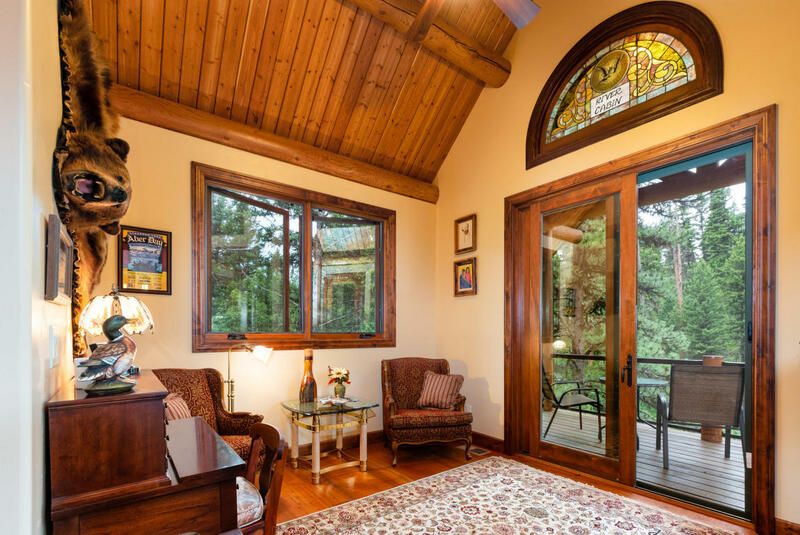 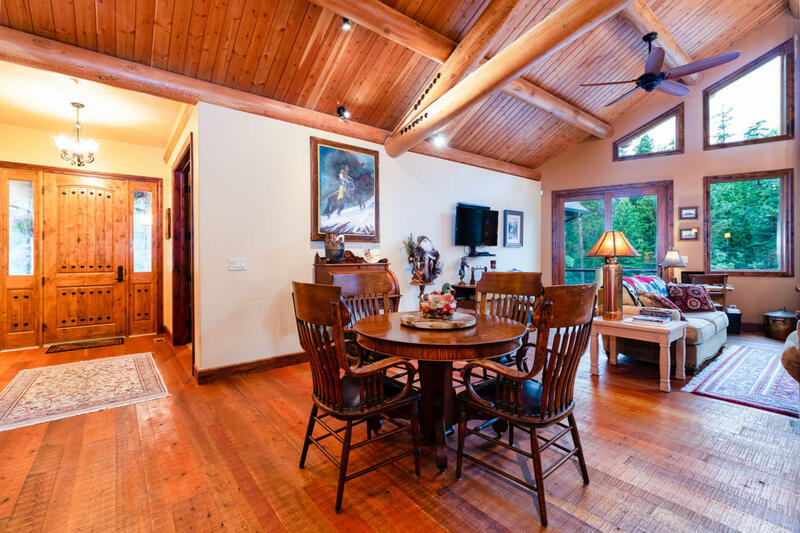 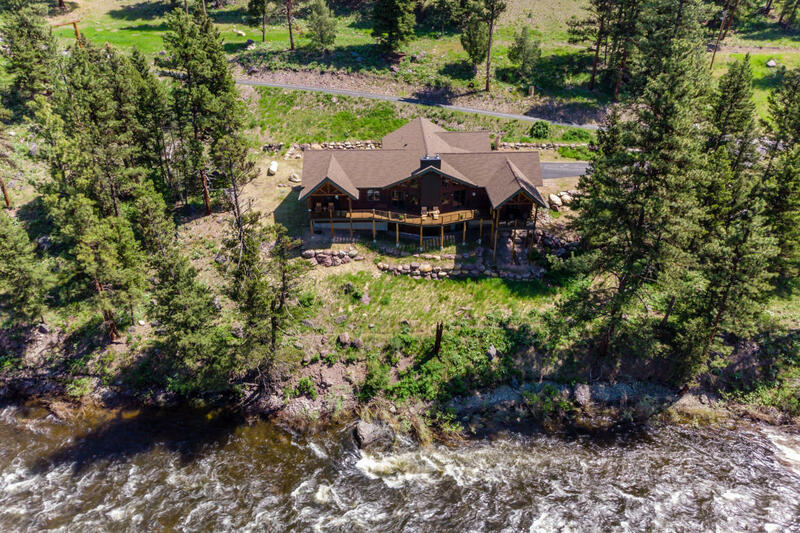 The ''River Lodge'' is an immaculate, custom built Neville Log framed home perched above the gorge of the Clearwater River, just 45 minutes from Missoula and minutes from the resort community of Seeley Lake. 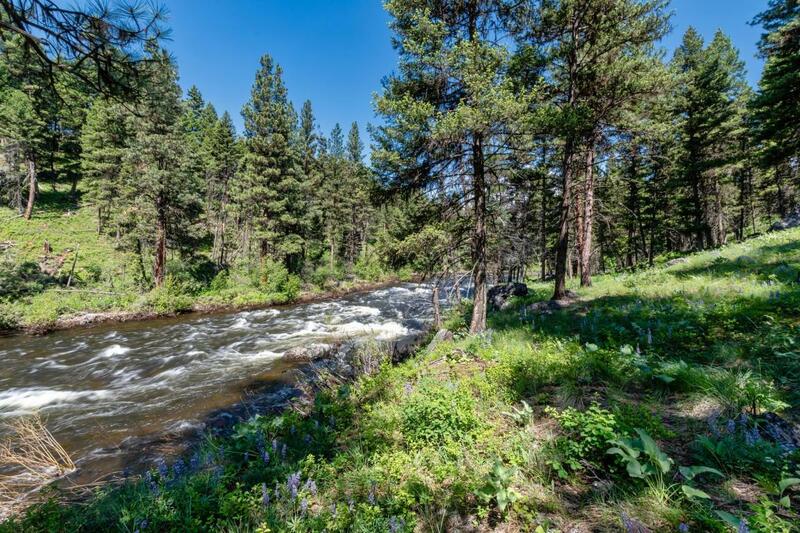 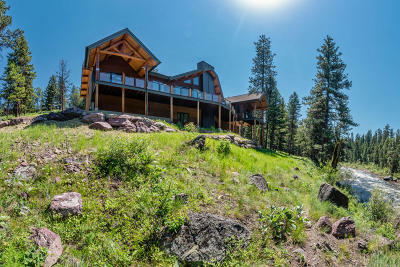 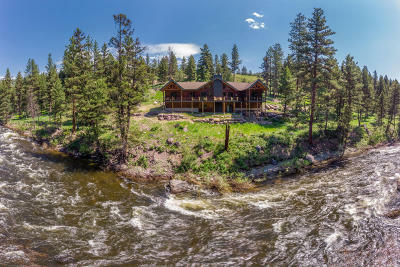 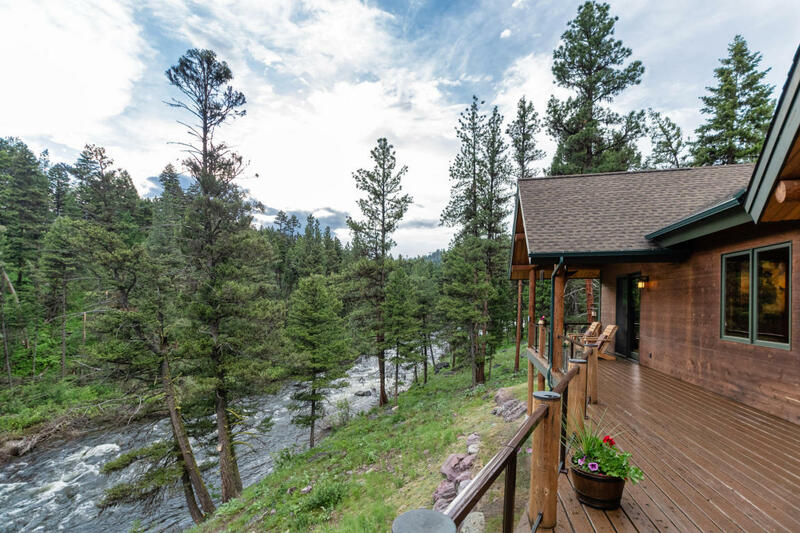 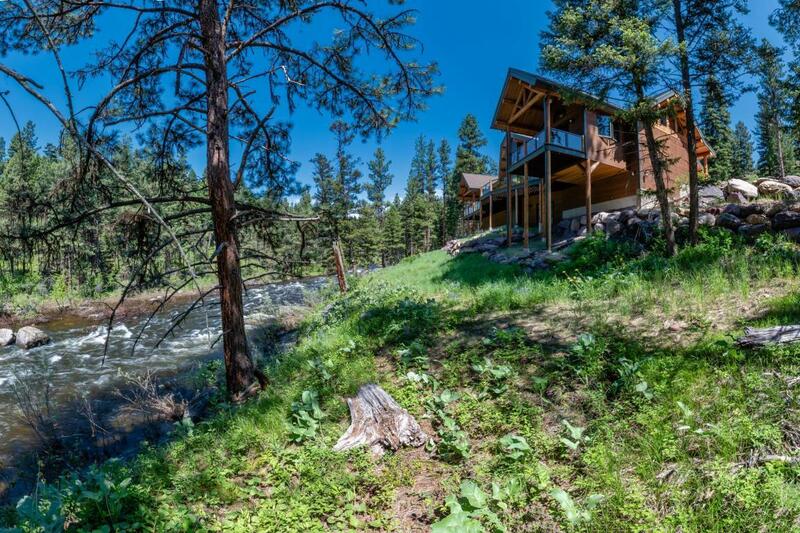 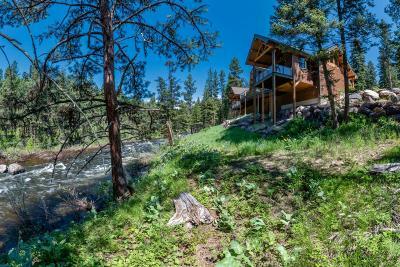 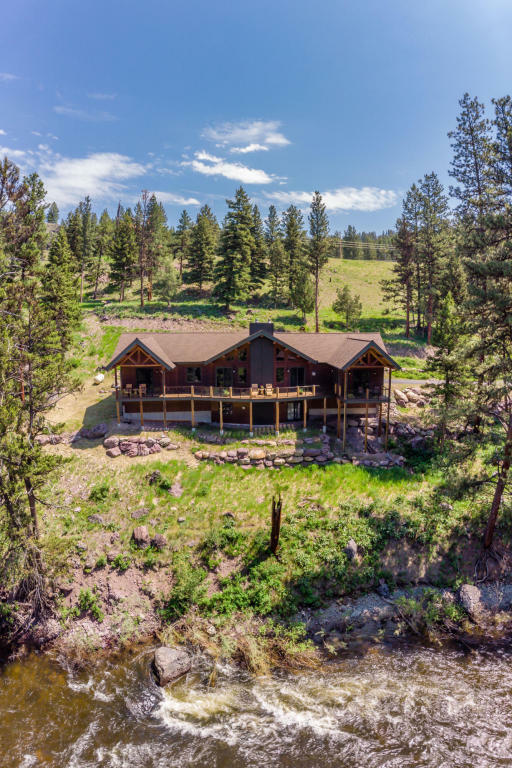 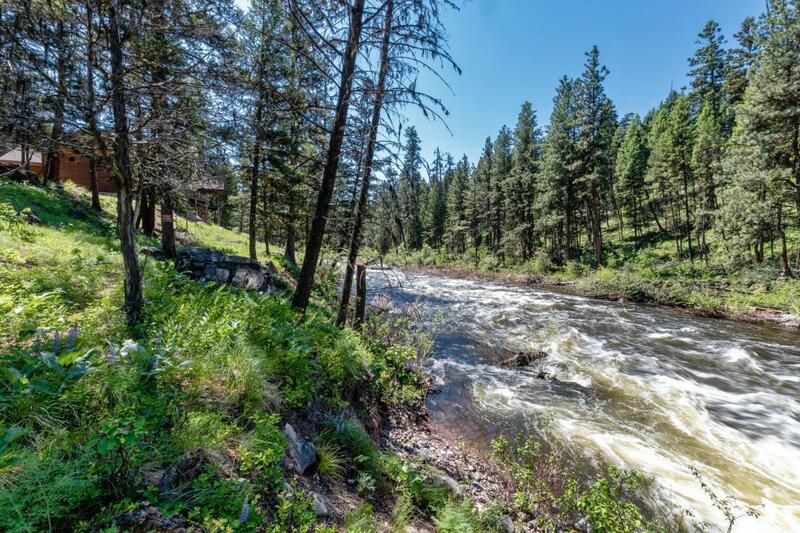 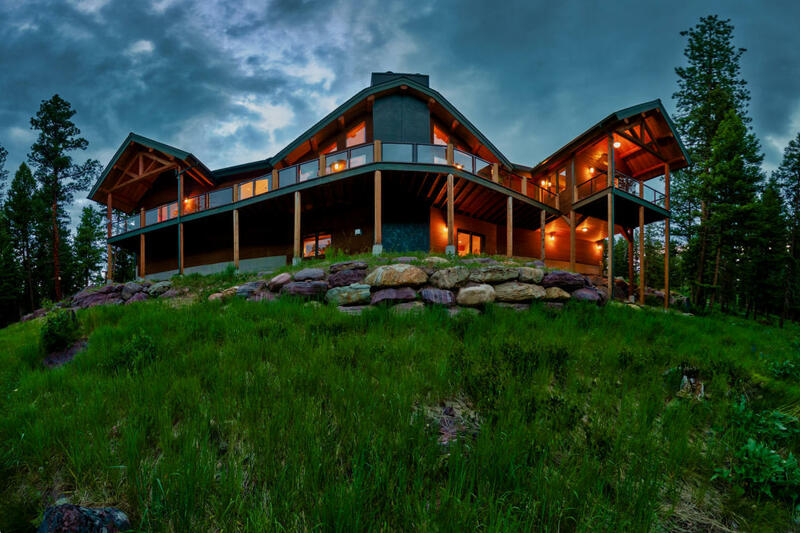 Sitting on over 2.52 +/- acres, this property is bordered by over 540 feet of Clearwater River frontage and is surrounded by approximately 25 acres of common area, offering privacy to the discerning buyer. 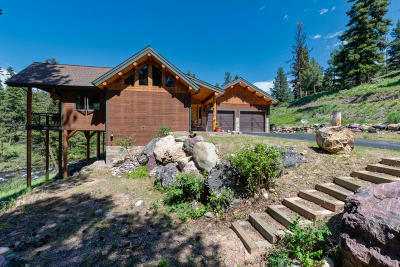 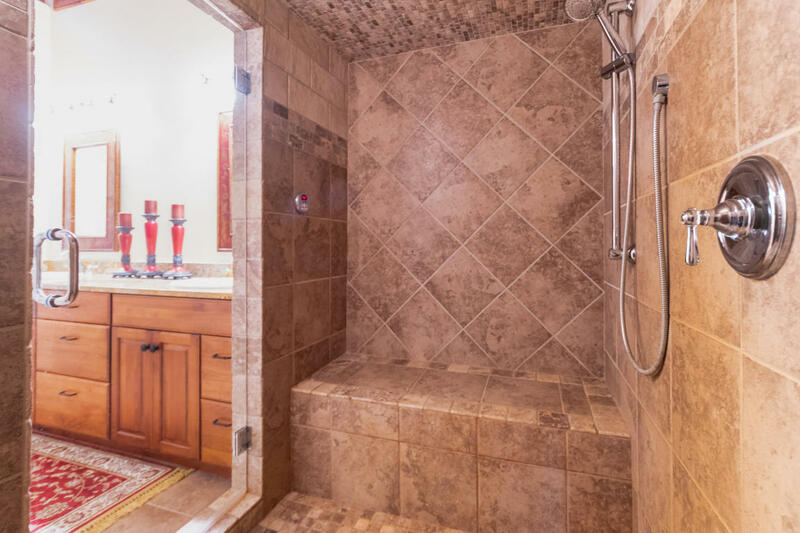 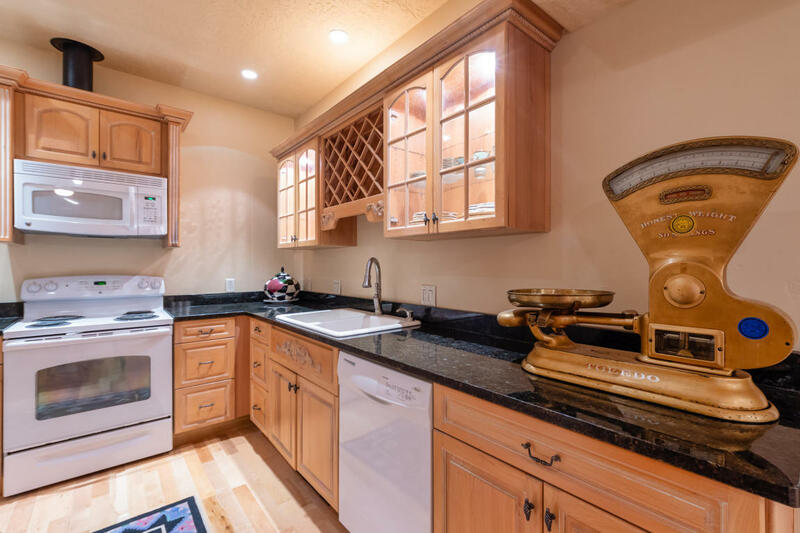 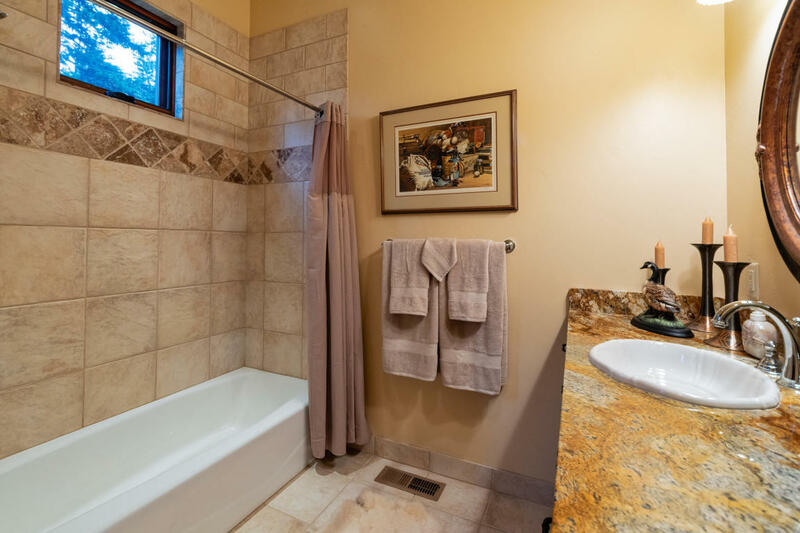 Featuring 4 bedrooms, 4 bathrooms in the over 3,900 Sq. 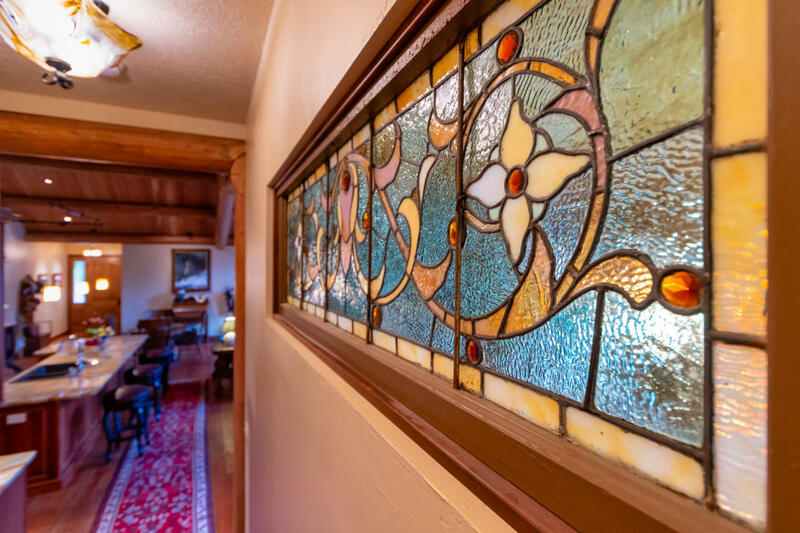 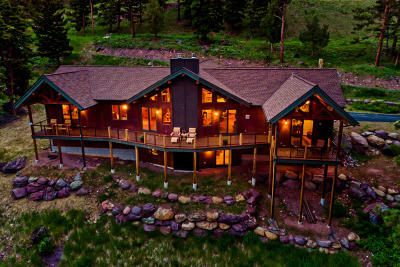 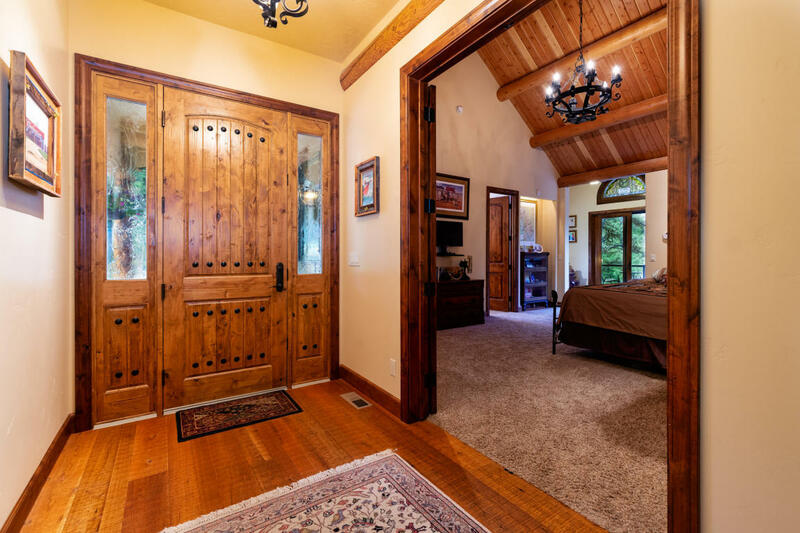 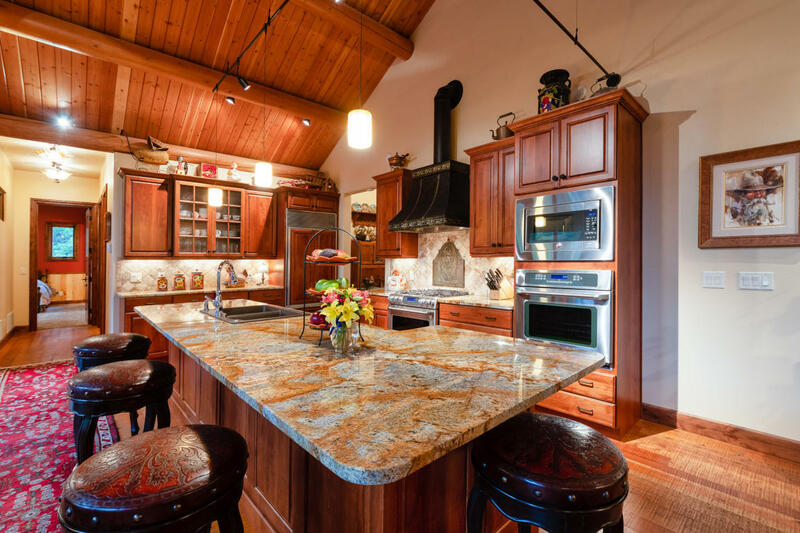 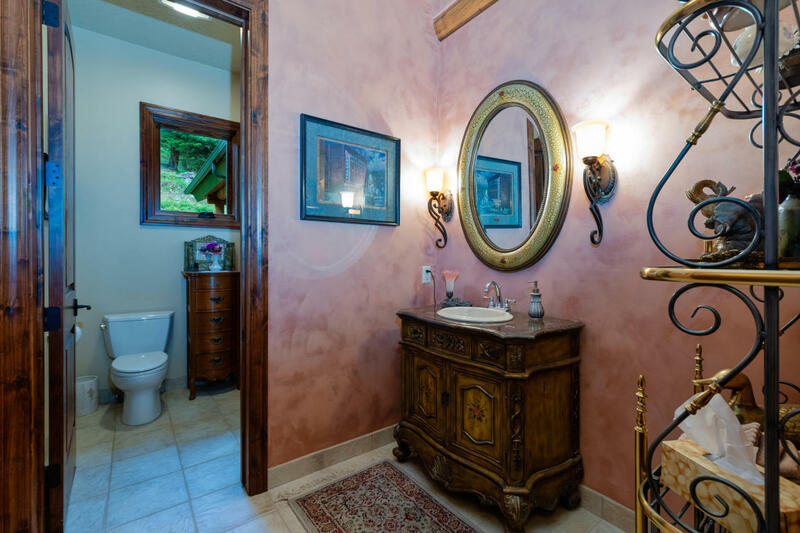 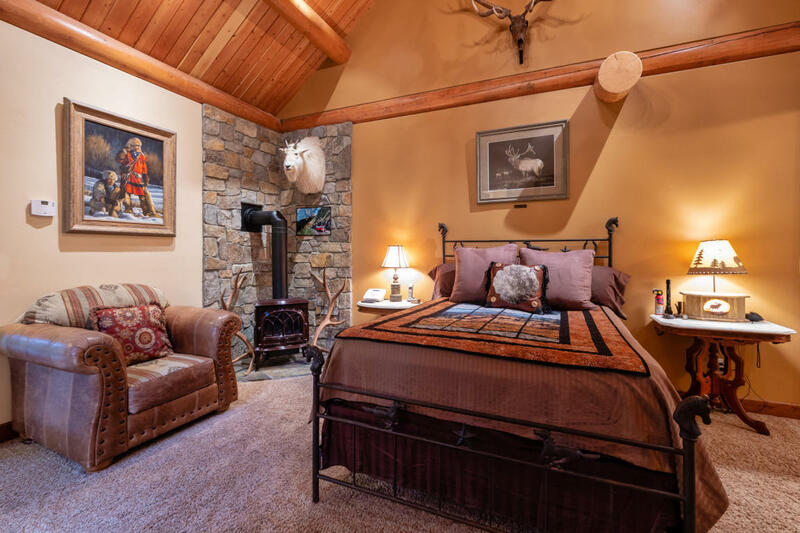 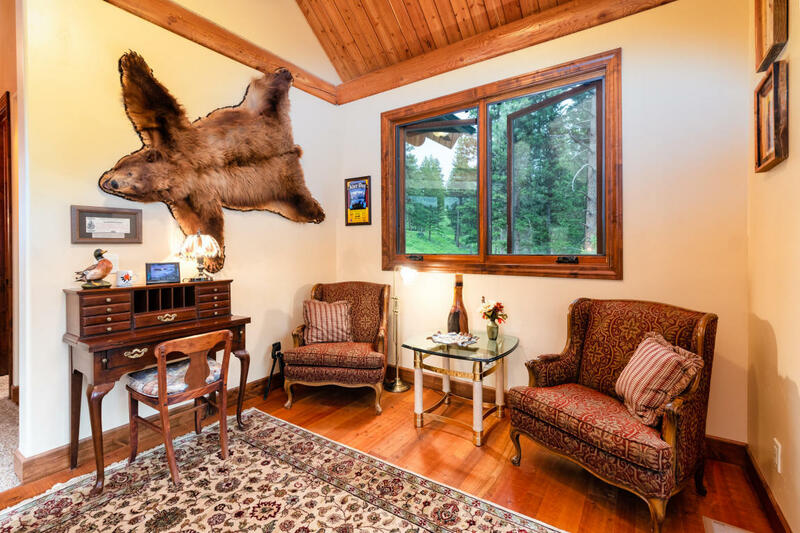 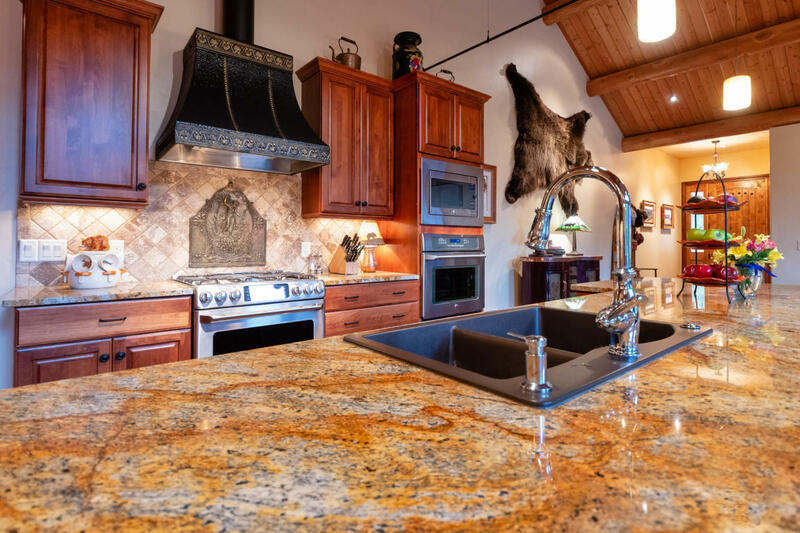 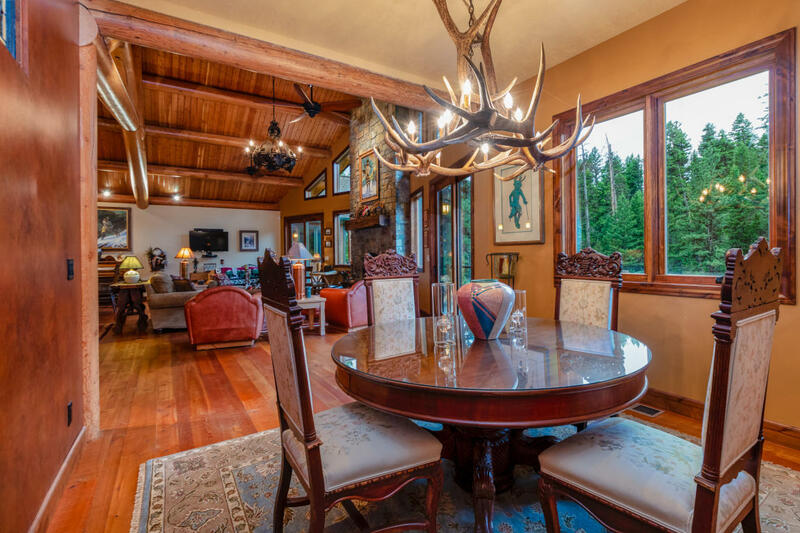 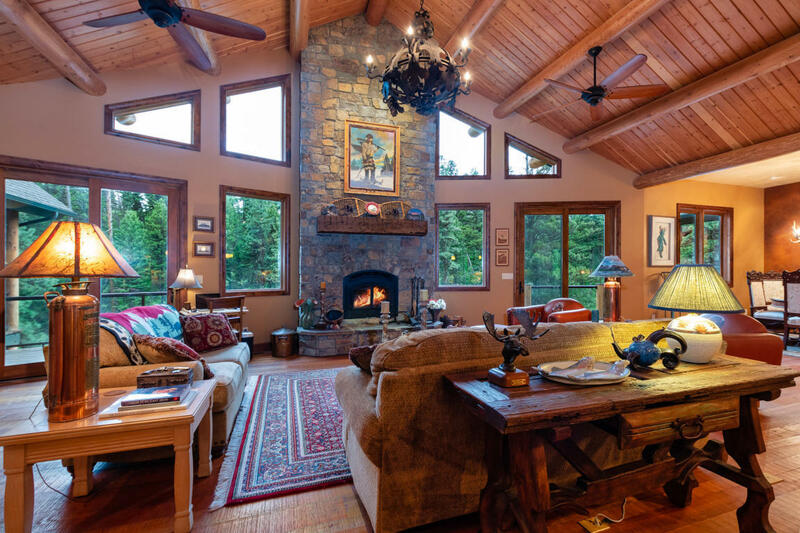 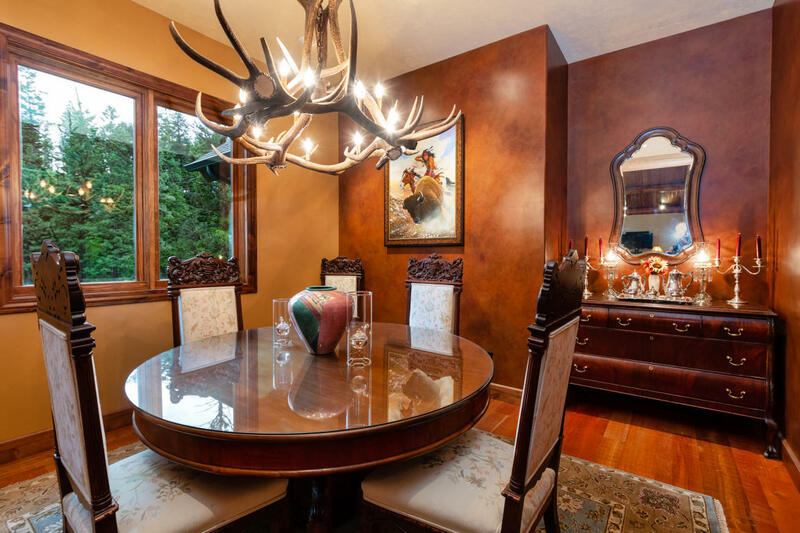 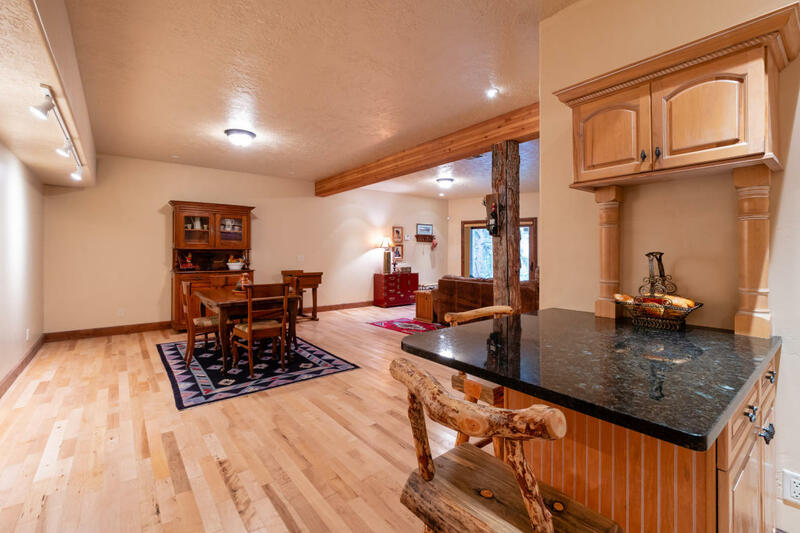 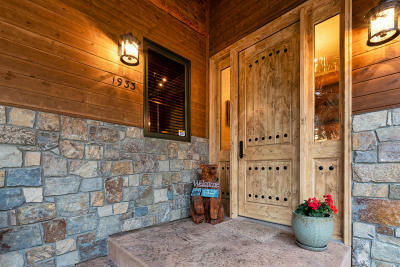 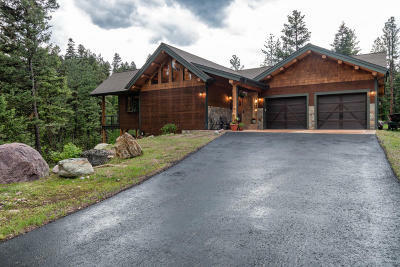 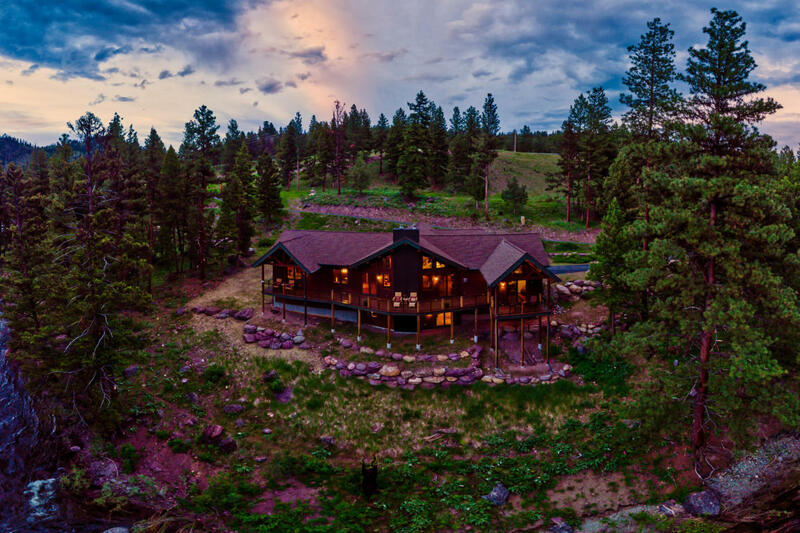 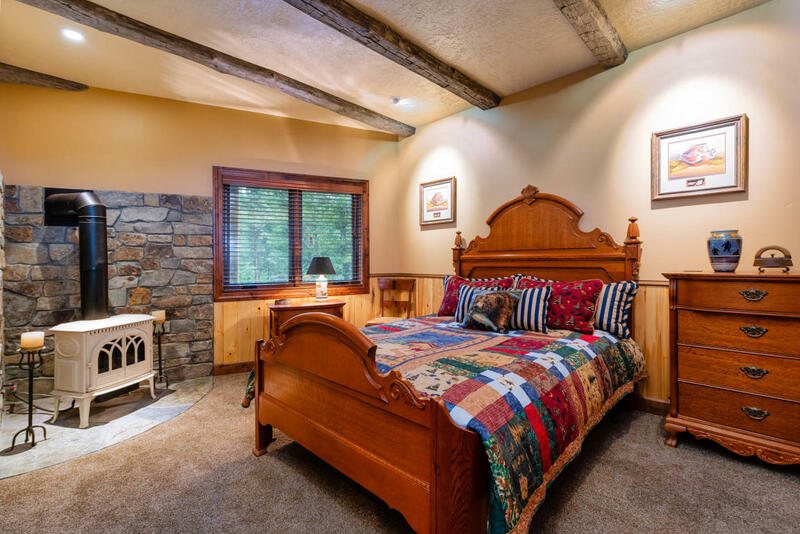 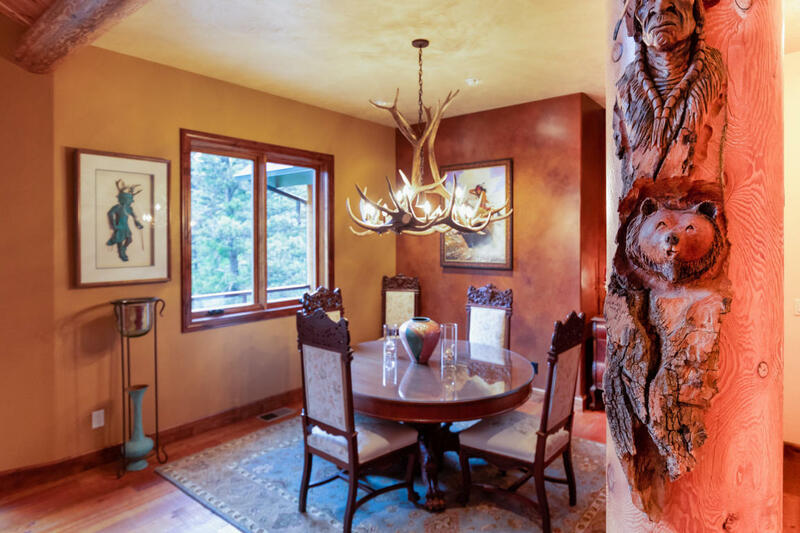 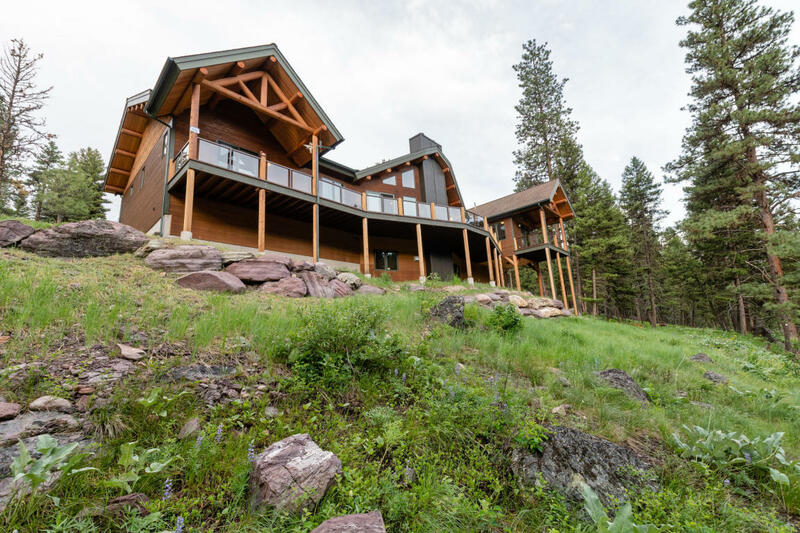 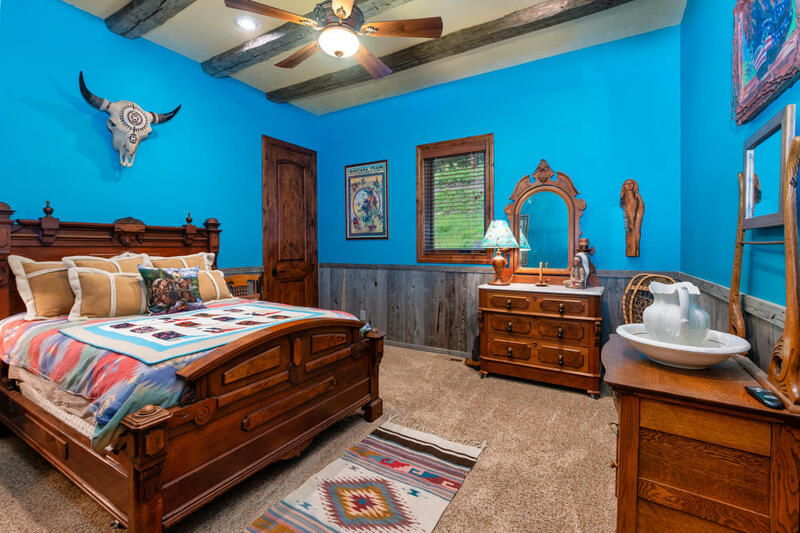 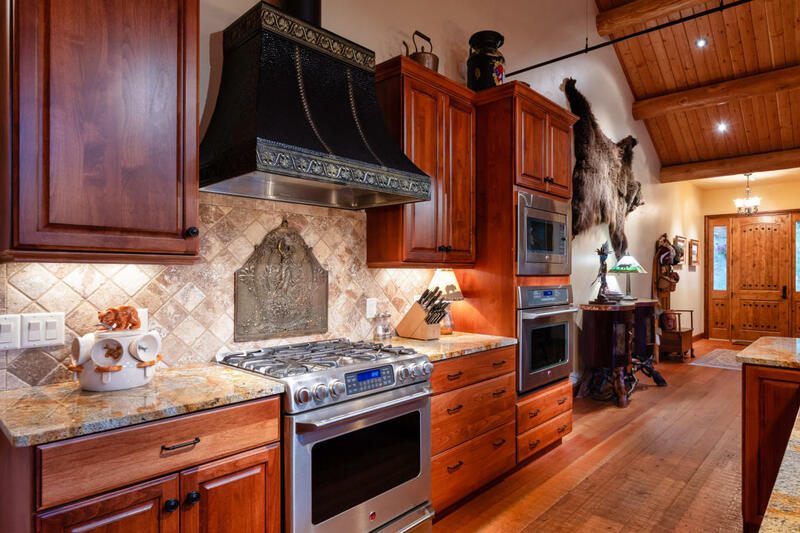 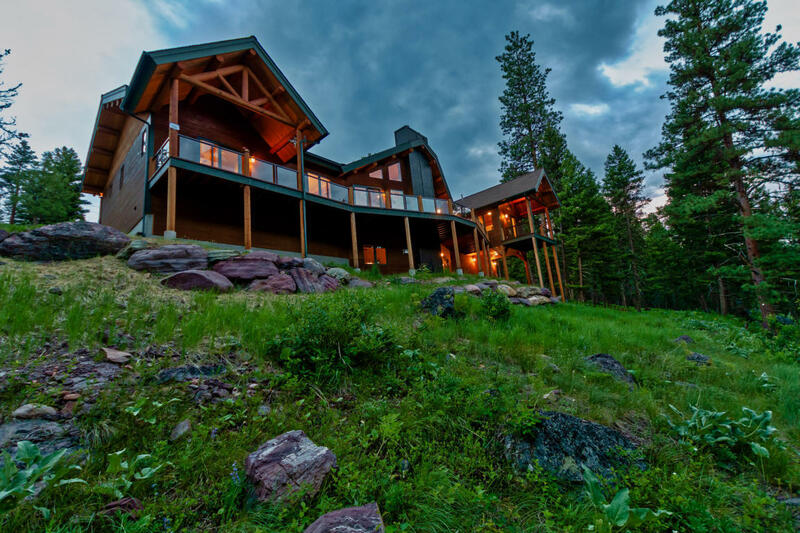 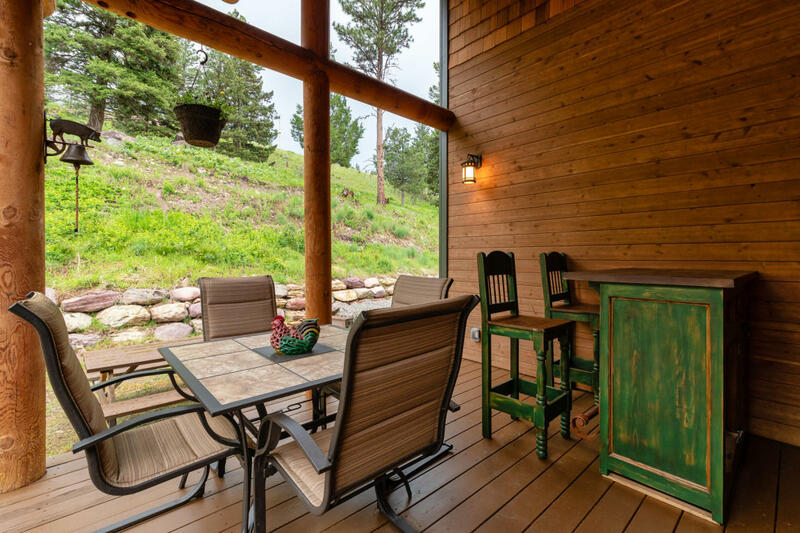 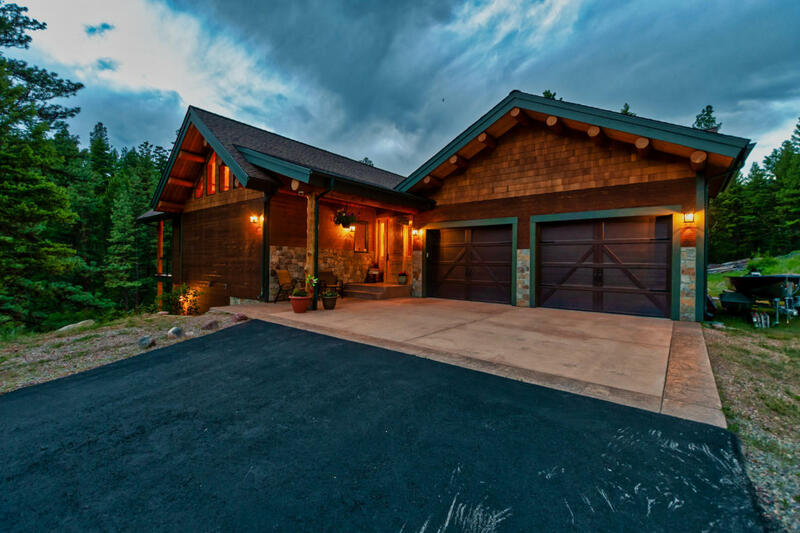 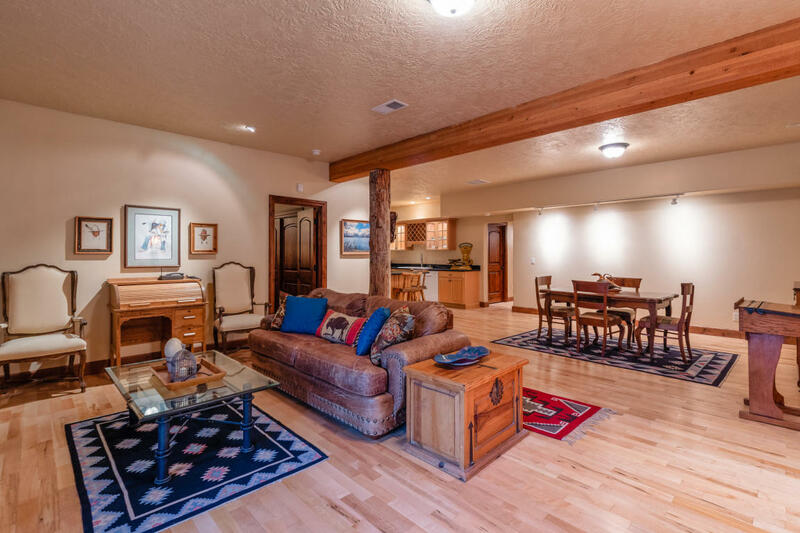 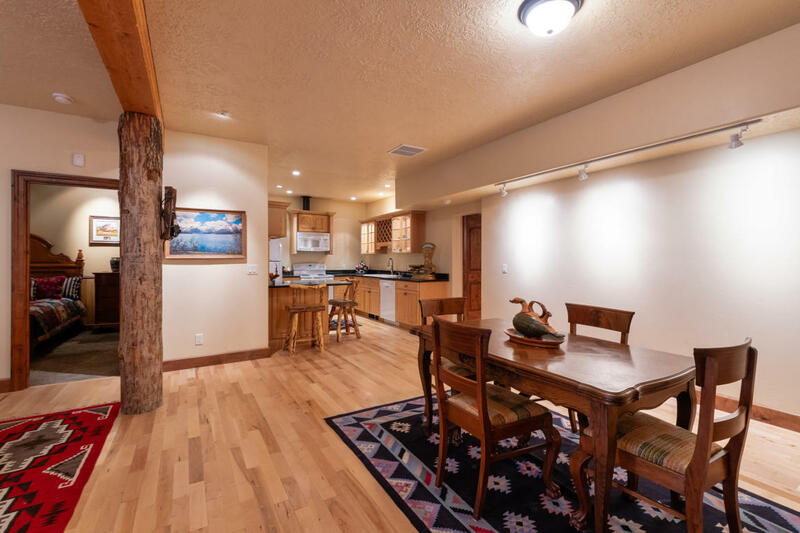 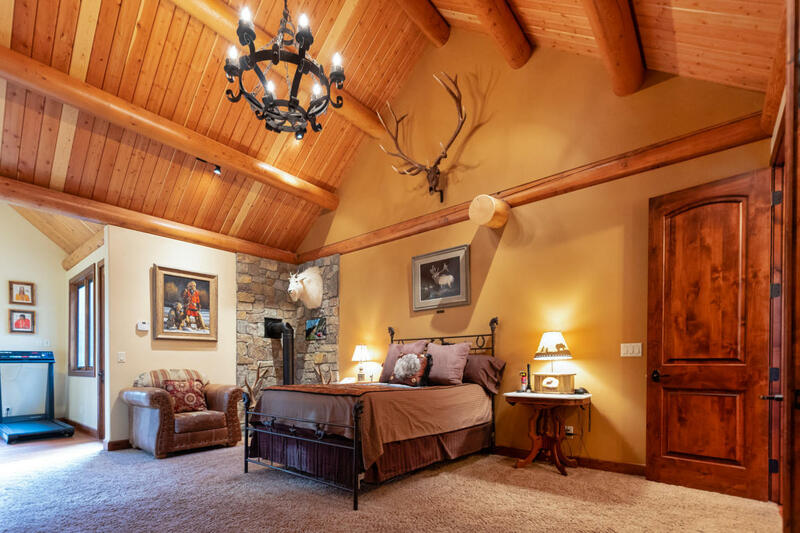 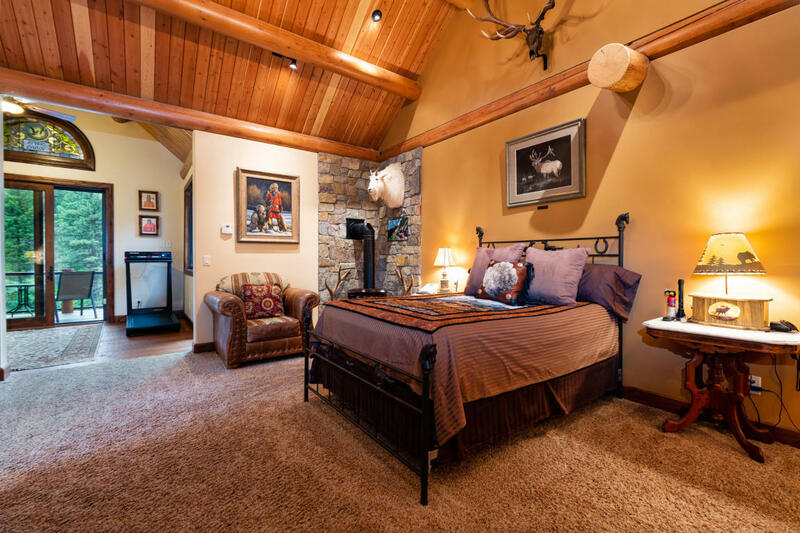 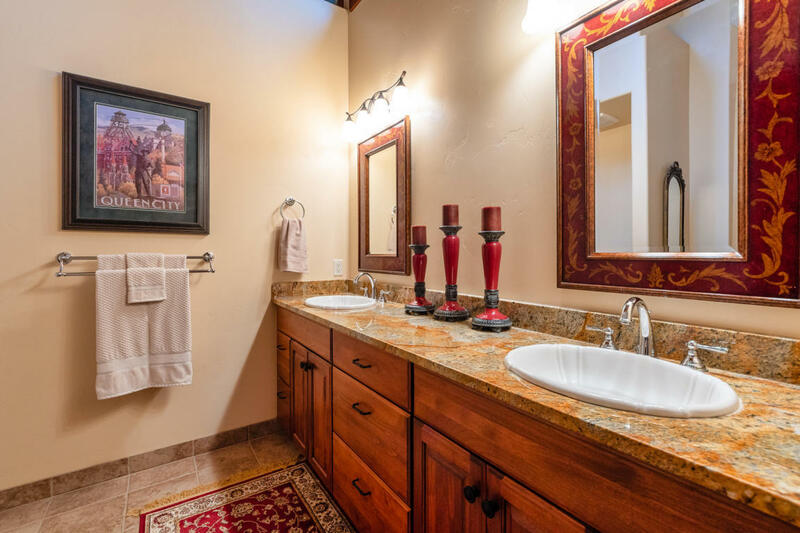 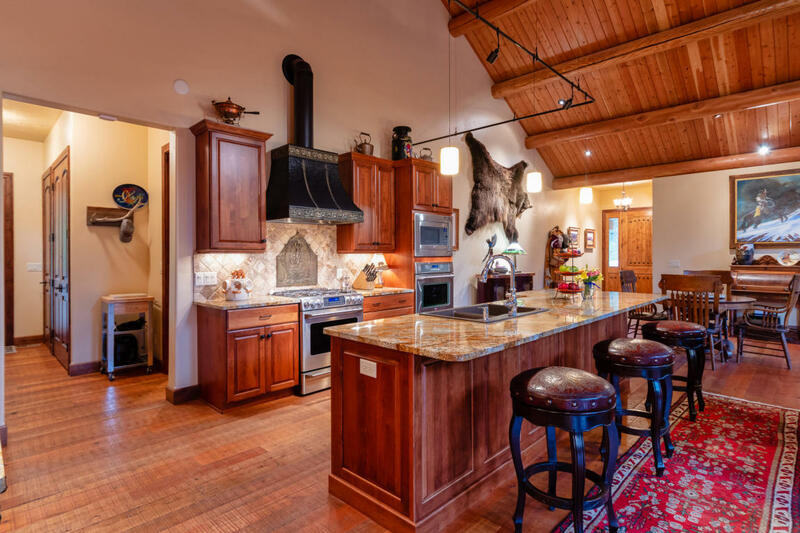 Ft of living space this property showcases Montana style lodge details throughout including 100-year-old weathered gray hand-hewn ceiling logs, hand forged iron chandeliers and the jaw dropping floor-to-ceiling stone fireplace with antique, reclaimed solid oak hand hewn mantel.